The HP Deskjet 2510 is a user-friendly all-in-one printer for students and home users. The low-cost printer offers you high-value features. The most attractive feature of the device is its simple design and straightforward specifications. The HP Deskjet 2510 ink cartridges are also available in XL version to provide you more prints at lower cost. The device weighs approx. 3.9kg and measure 431 X 439 X 252 mm, when the tray is closed. The printer does not have an ADF but has a flatbed scanner on the top. The control panel of the printer also lies on the top left. It contains one basic LCD display, and membrane switches for power and basic functions like copy, cancel, scan, and monochrome or colour print selection. The paper capacity of the device is 60-sheets at a time. The HP Deskjet 2510 printer is made for users who are not looking for any high-end feature but need a basic device that can efficiently print, scan, and copy. The device offers a great printing speed, easy-to-use interface, and great quality prints. However, the running cost of the printer can be quite high. Q. What can i do to Improve the print quality of my HP Deskjet 2510 printer? When the print quality of a document does not meet the expectations, or if one is receiving blurred, light or smeared print, then it may be possible that HP Deskjet 2510 ink cartridges are low on ink and need replacement. Also, if the printheads get clogged and one is not using good quality paper then might receive such prints. Make sure you are using good quality HP Deskjet 2510 ink cartridges. Check your printer software settings to make sure you have selected the appropriate paper type and print quality from the media drop-down list. Always keep a check on the estimated ink level to determine if the cartridges are low on ink. Refer user manual to replace the cartridges if they are low on ink. Select the device services tab and then click align HP Deskjet 2510 ink cartridges tab. The product prints an alignment sheet. Load the cartridge alignment sheet print side down on the right front corner of the glass. Press the start copy black button. The product aligns the cartridges. Recycle or discard the cartridge alignment sheet. Print a diagnostics page in case the cartridges are not low on ink. Load a letter or A4 size unused plain white paper into the input tray. In the printer software, click the print & scan function and then click maintain your printer to access the HP Deskjet 2510 series toolbox. Then, click the device report tab. Clean the cartridges automatically, if the diagnostic page shows steaks or missing portions of the colour and black boxes on the document. 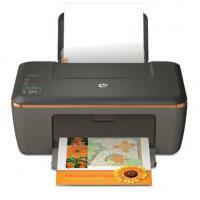 In the printer software, click print & scan and then click maintain your printer to access the HP Deskjet 2510 toolbox. Select the device services tab. Q. I just bought an HP Deskjet 2510 printer. Will it be covered by warranty if any damage is caused to the printer while using compatible HP Deskjet 2510 ink cartridges? A. Unfortunately, HP does not cover damages caused by compatible ink cartridges. But, you do not need to worry about any damage caused to your printer as our compatible ink cartridges are of high quality and are designed to work well with your printer. Q. How do I check how much ink is remaining in my HP Deskjet 2510 ink cartridges? Click the HP Deskjet 2510 series desktop icon to open the Printer Software. In the Printer Software, click Estimated Ink Levels. A graphic displaying the estimated levels of ink remaining will be shown on your screen. When using remanufactured or refilled ink cartridges, the printer may not show extremely accurate levels of ink remaining. When you receive a low-ink warning, make sure to have a replacement ready so that printing is not disrupted. Q. How much power does an HP Deskjet 2510 printer consume? A. HP Deskjet 2510 printers consume about 10 watts when printing, 1.3 watts on sleep mode and 2.3 watts when on standby mode. Q. I have been using original HP Deskjet 2510 ink cartridges for my printer. I want to reduce my operating costs. Is there any alternative that will satisfy my requirements? A. Yes, you can use our compatible HP Deskjet 2510 ink cartridges to reduce your operating costs. Our compatible ink cartridges are cheaper and can yield up to 90% more pages than the original ink cartridges. Q. What operating systems is this printer compatible with? A. HP Deskjet 2510 printers are compatible with all versions of Windows and Mac operating systems. Q. I need to order the HP Deskjet 2510 ink cartridges for my printer. What type of payment methods do you accept? A. We accept the payment made through Laser Card, American Express, MasterCard or Visa credit card, Maestro, Switch, Solo or Delta debit card. When you purchase any item on this website the payment will be hosted by Sage Payments to ensure maximum security of your credit/debit card details. Q. How much do you charge for the delivery of the orders made on the site? A. Our delivery charge for any order will start from €1.99 inc. VAT. If you are ordering paper, the delivery charge will be higher according to its weight. Q. Will I get the same number of printed pages from the compatible HP Deskjet 2510 ink cartridges as I get from the original ones? A. Yes, we assure you that you will get at least the same number of printed pages from compatible ink cartridges as you will get from an OEM Inkjet cartridge. Nowadays people are focussed more on budget saving purposes and buying the compatible ones from the site will prove to be a big money saver. Q. I have recently bought the printer and want to know the tips for the successful printing of the documents? Check for the estimated ink levels in the HP Deskjet 2510 ink cartridges to make sure there is sufficient ink. Refer online manual to check the estimated ink levels. Q. The HP Deskjet 2510 ink cartridges are really costly and I wanted to replace them with cost-effective yet good quality cartridges. Can you recommend me some good alternatives? Q. I was willing to install the cartridges for HP Deskjet 2510 printer on my own thereby wanted to know the exact procedure to install HP Deskjet 2510 ink cartridges? If you face any problem during the procedure, feel free to contact our customer care on +44(0)28 308 33221. Q. My HP Deskjet 2510 printer broke and thus I discarded it. Since my cartridge usage is heavy, I had a stock of HP Deskjet 2510 ink cartridges but now I cannot use it. With which printer can the cartridges be used so that they do not go waste? A. Usually our cartridges are adaptable with more than one printer. The HP Deskjet 2510 ink cartridges are compatible with the following printers listed below: HP Deskjet Printers 1000 - 3999, HP Deskjet 1000, HP Deskjet 1050, HP Deskjet 1050A, HP Deskjet 2050, HP Deskjet 2050A, HP Deskjet 2050S, HP Deskjet 2510, HP Deskjet 3000, HP Deskjet 3050, HP Deskjet 3050A, HP Deskjet 3055A e-All In One, HP Deskjet 1510, HP Deskjet 2540, HP Envy 4500 e-All-in-One, HP Envy 4502 e-All-in-One, HP Envy 4504 e-All-in-One, HP Envy 4505 e-All-in-One, HP Deskjet 1010, HP Deskjet 1512, HP Deskjet 1514, HP Deskjet 2512, HP Deskjet 2542, HP Deskjet 2544, HP Deskjet 2549 All-in-One, HP Envy 4507 e-All-in-One, HP Envy 4509 e-All-in-One, HP Envy 5530 e-All-in-One, HP Envy 5532 e-All-in-One, HP Envy 5534 e-All-in-One, HP Envy 5539 e-All-in-One, HP Officejet 2620, HP Officejet 2622, HP Officejet 4634 e-All-in-One, HP Officejet 4630. You can use the cartridge with the above-mentioned printers without worrying about the quality.